I celebrated turning thirty by throwing myself off a cliff. 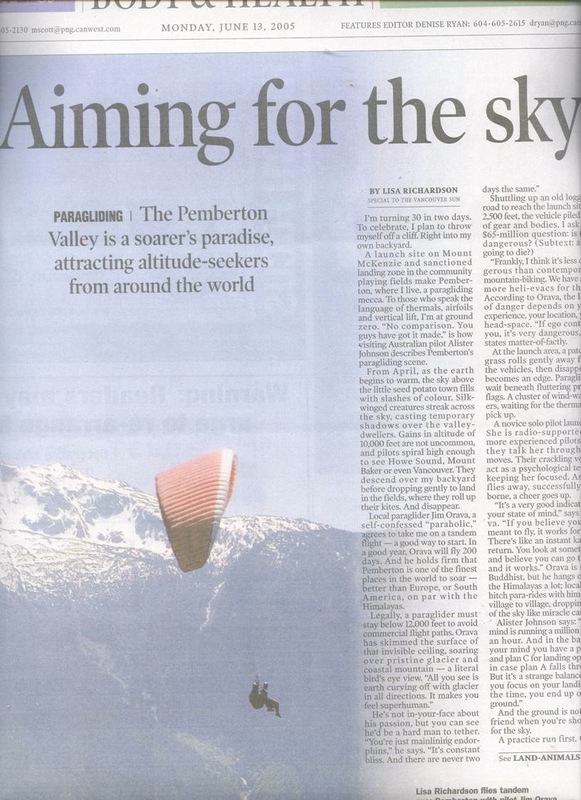 I was in good company – Pemberton paraglide guru, Jim Orava, was strapped to my back. Photographer MC Bourgie shared the thermals to my left, shooting so intently through her lens that she landed with a nasty bout of motion sickness. 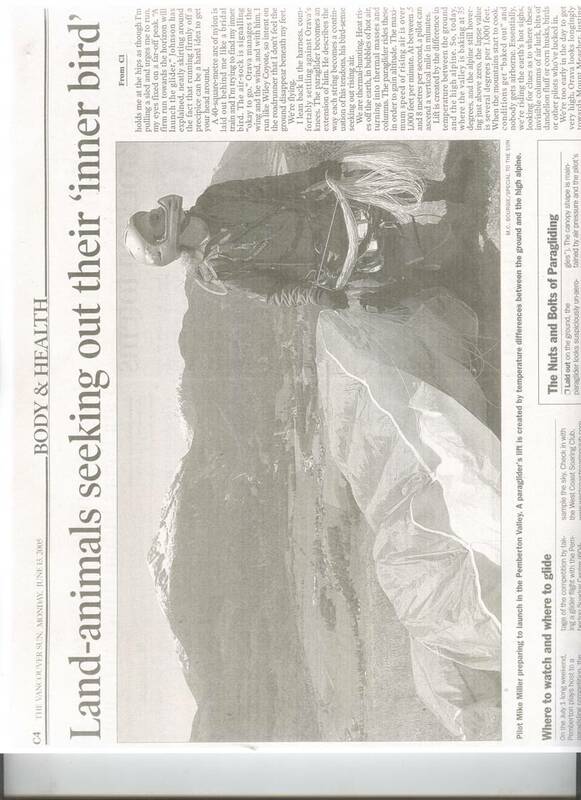 I wrote a story in the Vancouver Sun that ran a few days later. Two weeks ago, I received an email from a sender I didn’t recognise. Dear Lisa Richardson, it began. After saving your Van. Sun. article on Pemberton Para-gliding for five years, I finally followed your example last weekend. Your description was right on so no surprises, just wish we could have caught more “up” time. At 78 years, there was some urgency to do it before I got old! With three of my kids (one with video camera) and four grandkids, we put ourselves at the mercy of Jim and Corinne Stoltz and flew over the town where I spent my first ten years of life – in the little log house on Beks’ farm (originally Girling’s). My family returns to Pemberton Meadows often, as a son married into the Millerd family, who have a home there – a great family gathering place. I just wanted you to know that your article was an inspiration for me to fulfill a long held dream.